Tom Davis, editor and publisher of Old Mountain Press, has just released an anthology. 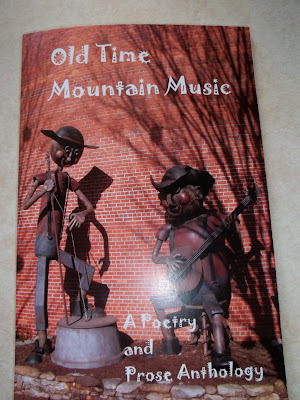 OLD TIME MOUNTAIN MUSIC sets your feet tapping with poetry and prose. The rustic cover of a sculpture by Stefan Bonitz, represents mountain musicians. The unique cover bids you to celebrate old time mountain music with 53 authors who contributed to this collection. You can almost hear the fiddle sawing old-time mountain music in James Gibson's story, "Grandpa's Fiddle." Phil Richardson also tells about a special relationship with Grandpa Ollie and his "tucking the fiddle under his chin and sawing away." Al Manning's, "A Mountain Virtuoso," writes about a marvelous improvisation, constructed by some musical genius: "It is well known that mountain mocking birds are very precocious." You'll also hear a blind woman with red hair and cornflower blue eyes, strumming the dulcimer in Barbara Ledford Wright's story, "Marine's Mountain Dulcimer." Another mountain woman, Ester Arledge," and her long life are described in Celia Miles' poem, "1848-1931." Shape-note music and singing in a country church are addressed in Blanche L. Ledford's story, "Mt. Pisgah Church." Notes swoosh-sway over cliff rocks, streams crackle, songs spurt over pebbles, and create a roaring waterfall musical in Patsy Kennedy Lain's lovely verse, "Mountain Melodies." To cool a Summer's lazy afternoon." To order copies of OLD TIME MOUNTAIN MUSIC, go to: www.OldMountainPress.com. 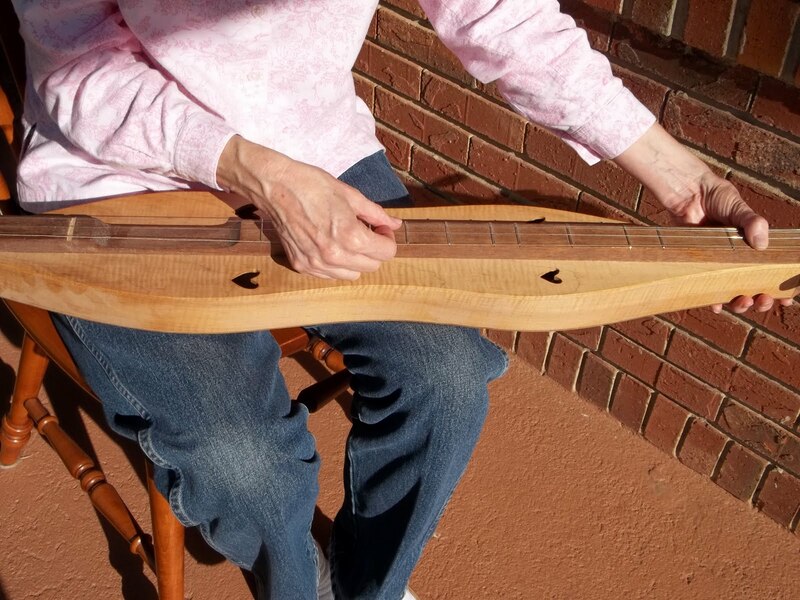 Brenda Kay Ledford plays a mountain dulcimer. Gordon Parris of Hayesville, NC made the instrument. Ledford's essay, "Mountain Craftsman," profiles Parris in this anthology.